As a well-known online streaming service platform, HBO Go has options for users to enjoy instant videos and delivers unlimited accesses to every episode of the best HBO movies, TV shows, sports, comedy, documentaries, kids issue, etc. Though it seems perfect with such an attentive service, HBO Go doesn't give users an official way to download videos for offline watching. If you are a user from HBO Go who is unwilling to miss any fancy shows, you’d better grasp this wonderful opportunity to learn how to record HBO Go programs with an outstanding HBO Go capturing program called Joyoshare Screen Recorder. Now, read this post to know more about it and create a HBO Go recording with ease. Joyoshare Screen Recorder: What Is It? 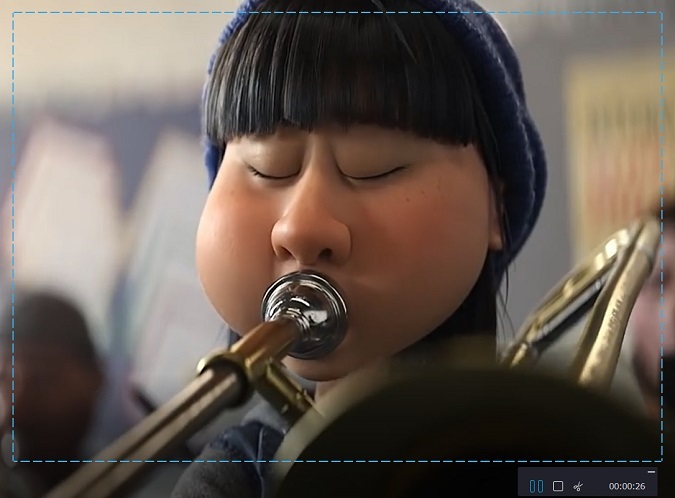 Adopted with the most outstanding screen capturing technology, Joyoshare Screen Recorder is considered as one of the most powerful video recording programs. It offers ability to grab any video from HBO Go and any other screen video activity from Amazon, Netflix, Adobe Connect, Hulu, Yahoo Messenger, YouTube, Ustream, Google Earth, etc, playing on desktop. 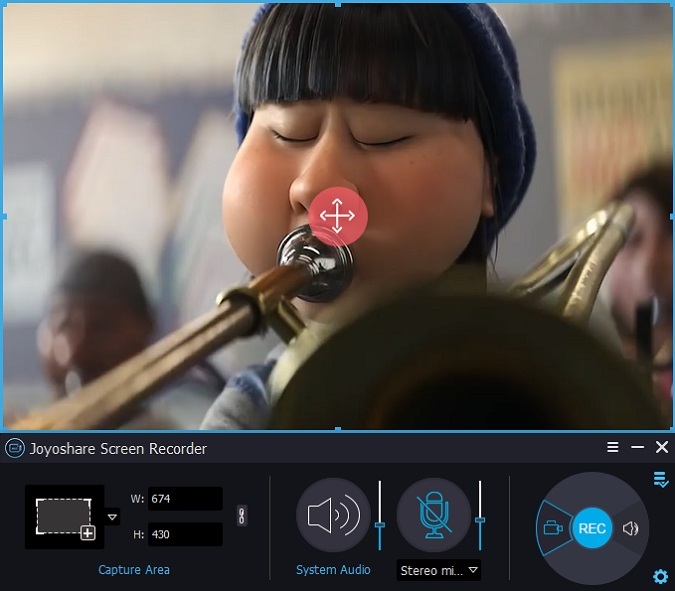 Under the help of Joyoshare Screen Recorder, you are empowered to record HBO Go video and audio synchronously, keeping system voice or microphone sound left. More amazingly, it also has access to work for you as an independent audio caputure. Once you have a try, you will find a wealth of thoughtfully well-designed recording settings that will make you enjoy your HBO Go capturing experience totally. This smart HBO Go programs recorder comes with no time limit of video length. Moreover, it is developed with a professional task scheduler so that you don't have to wait for its being done on your computer in a timely manner. Only presetting both start time and end time, you can complete recording assignment even when you go out. It also allows you to choose appropriate output format as well as common device, like MP4, M4V, MKV, MOV, WMV, AVI, MPEG, Andriod, iPhone, smart TV, etc. 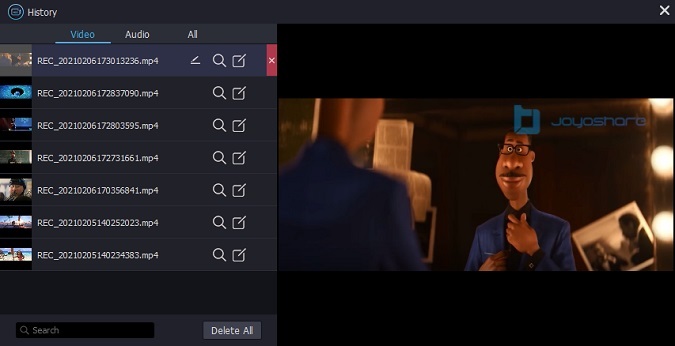 In addition, you can utilize shortcuts to start/stop capture, take a screenshot, or start a new file during HBO Go video recording process, with which any clicks and cursors will not be shown on captured video. Go to official website to download Joyoshare Screen Recorder. With just few clicks, you can finish the installation and ready to record HBO Go programs in moments. Joyoshare Screen Recorder provides all-round solutions for you to select capturing area according to personal preference. You can simply press "+" button on the "Capture Area". When a pop-up window appears on your screen, drag the edge of this frame to put it on a proper position. It is regarded as the most flexible method. However, to get a standard ratio and fit for common video play size, you'd better directly choose a fixed width and height number from drop-down menu, like 320x240, 640x480, 1280x720, full screen, etc. Press the gear icon and choose dispensable recording parameters. You can click the "System Audio" or "Microphone Sound" to control audio track. It depends on you whether to close or open it. By operating once, you will find the differences easily especially when make comparison between all recorded destination files. Joyoshare Screen Recorder also enables you to add effects to cursors, decide storage location and so on. 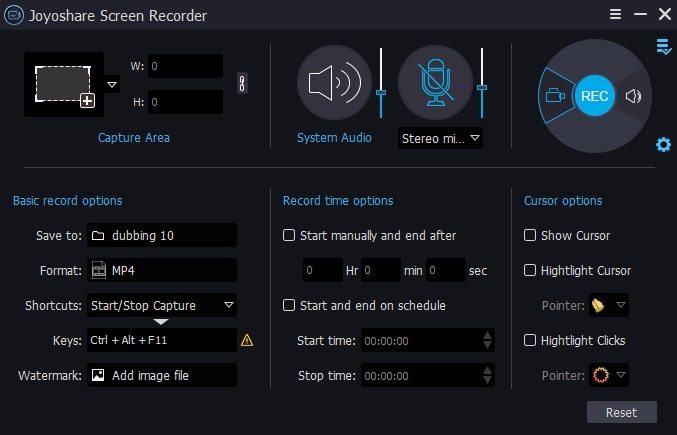 Note: If you have interest in making use of Joyoshare Screen Recorder as an independent audio recorder to capture HBO Go audio tracks only, you can hit the audio icon located next to "REC" button. It will do a job in grabbing streaming music, online station, system sound, etc. Furthermore, there are supportable formats provided to select, for instance, MP3, AAC, WAV, FLAC, M4A and M4B. Go to HBO Go site and watch your favorite video. Hit "REC" button to start recording it, during which you can take advantage of the extra 3 seconds to adjust recording area again. When it begins capturing HBO Go program, you can take screenshot by using shortcut and cut video by pressing "Scissors" icon. To make your captured videos orderly and charmingly, you can preview it in advance to make sure whether it can play offline without problem. Then revise its name and add correct information to ID3 tags. Any screenshots and video segments made will be presented here. Additionally, you have the right to share any captured HBO Go videos to YouTube as you like.